Every year rowers get faster, records are broken, medals are won, but can this trajectory continue? 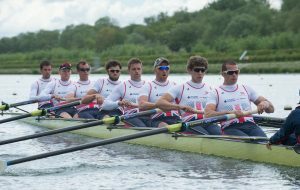 Rowing as a sport lends itself well to data analysis and at the British Rowing Sports Science and Medicine Conference earlier this year I shared some insights the rowing community has gleaned from the performance and race data of the past 150 years. Each decade, the men have improved by approximately two percent, with a 25 to 30 percent increase in average velocity over the last century and a half. That said, the margins for improvement are getting smaller. So how, in the face of these diminishing returns, can rowers continue to improve? To understand this, we have to go back to where the gains have historically been made. The formula for rowing success seems simple – increase propulsive power and decrease power losses. In other words – go faster, get rid of wasted effort and the stuff slowing you down. Going faster may involve increasing aerobic or anaerobic capacity, or possibly increasing muscular strength. Whereas power losses may be caused by drag on the boat, inefficiencies at the oar/water connection and the “technical efficiency” of the rower and boat on the water -- all elements that can be addressed to improve speed. A renowned Swedish exercise physiologist, Per-Olof Astrand, once said, “the most important thing an aspiring athlete can do is to choose the right parents.” Good genes are a vital component of building an athlete and the increased size and weight of the average elite rower has been a huge contribution to the increased velocity over time. The 175 cm to 185 cm tall champions of the late 19th century have evolved into the 190 cm to 2 m tall elite oarsmen of today. The 19th century champion Ned Hanlan would likely have been confused with the coxswain in this crowd! VO2 max studies (a measure of maximum aerobic capacity via oxygen uptake) support the idea of a three-quarter power scaling law for body mass to aerobic capacity. In essence, while size does improve aerobic capacity (albeit at a slightly reduced scale to body mass) it doesn’t improve at a high enough rate to account for the kinds of improvements we’ve seen in rowing. The training, therefore, has also been a huge factor. In 1866 British coach Archibald McClaren had his rowers run for 15 minutes, as fast as they could, followed by about an hour’s rowing each day. Fast forward to the US Women’s Olympic team in 1996 for example, and rowers were doing three sessions a day and over 30 hours in a week. Now all this changed the rower and the power inputs of rowing, but technique and tools have also changed dramatically over time. The introduction of the sliding seat, the wholesale redesign of the boat to reduce width and weight, and the transformation of oar shape has had a monumental impact on power losses in rowing. With 150 years of data sources at our fingertips we can begin to understand how impactful each of these changes have been on the velocity of elite rowers. Thanks to data, we’ve found that changes to the style of training have had some of the greatest impact. Studies have shown that by changing training to adopt higher volume but lower intensity methods, we’ve transformed the maximal aerobic capacity of our top-flight rowers. Today, data and analytics are allowing coaches and doctors to have a far more proactive and individualised approach to training rowers. We’re able to use monitoring and analytics to understand fatigue, peak performance, overtraining, and injury risk and take preventative action. From data points tracked decade-to-decade and year-to-year, we’re now able to look at rower data in real-time, from training-session to training-session or stroke-to-stroke. The question is, with more advanced data analytics capabilities to understand more about power and power losses, how much faster can we make the boat go? 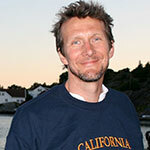 After growing up in the US and earning his doctoral degree from the University of Texas at Austin, Stephen Seiler, PhD FACSM, has lived and worked in Norway for nearly 20 years as a university teacher and researcher. He is currently professor in Sport Science and Dean of the Faculty of Health and Sport Sciences (150 scientific and administrative staff) at the University of Agder in Kristiansand, Norway. Professor Seiler also serves as senior research consultant to the Norwegian Olympic Federation and in 2013 he was elected to the Executive Board of the European College of Sport Science.